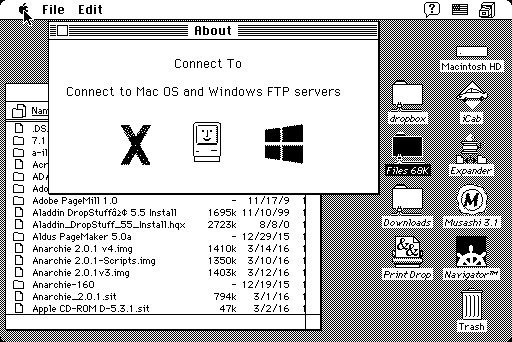 File- and print-sharing between System 7 and OS X. Is there a better alternative to Connect To? Is Connect To really the best app in System category? Will Connect To work good on macOS 10.13.4? 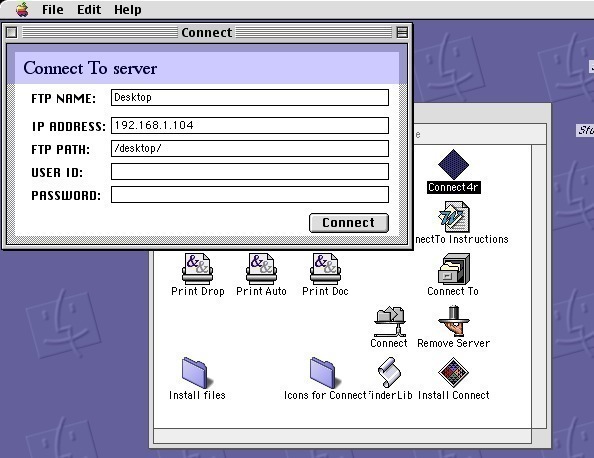 Connect To is a pack that contains a super-easy method of sharing files and printers using the FTP protocol with Macintosh System 7.1 and later (using Applescript) and any version of OS X through OS X 10.11 El Capitan. Most importantly, it is very easy to use--drag-and-drop--and is graphically user friendly . The scripts allow you to connect and share files with any version of OS X, and also to print at full quality using the Unix CUPS protocol directly from your MacOS Classic to any modern printer connected to your MacOS X. 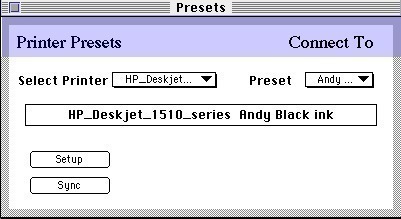 New redesigned mechanism for printing and installing(1 click). 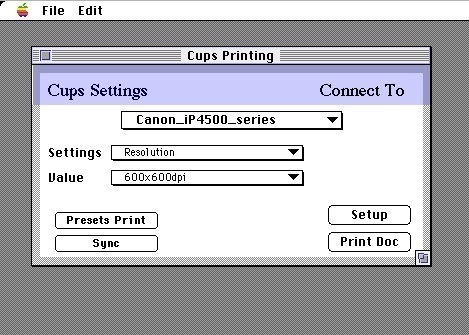 Unix CUPS protocol for network printing directly from your Classic MacOS 7 thru 9, with complete control of the print settings and printer selection. 2nd print method Printer Presets. Connect To needs a review. Be the first to review this app and get the discussion started! Connect To needs a rating. Be the first to rate this app and get the discussion started! There are 3 printing options, manual, automatic and desktop printing. 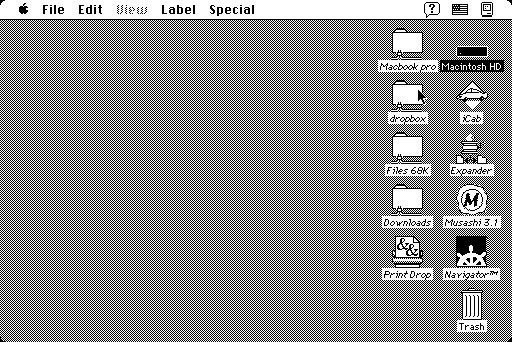 Installation for both System 7 and OS X is very simple, and there are no third-party extensions or applications installed on the OS X system.